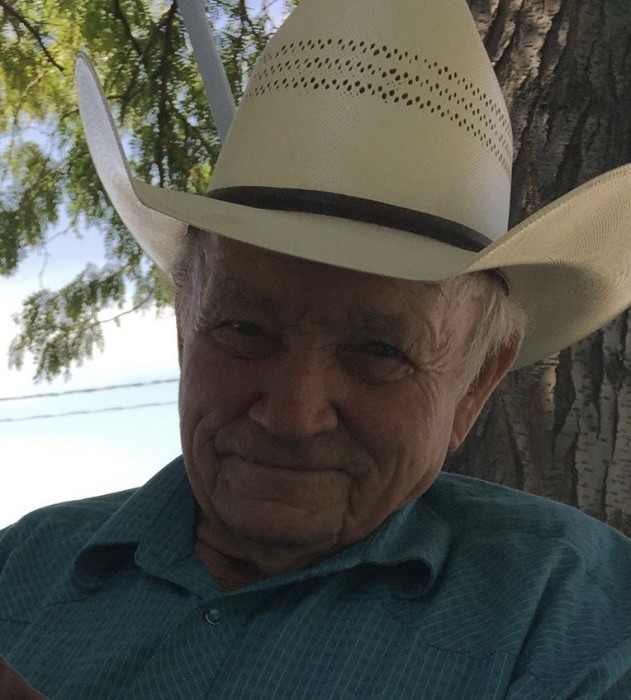 Buhl – Larry Dean Finney passed away Wednesday, January 30, 2019 at his home. Larry was born in Filer, ID on January 13, 1935 to Merrill and Goldie Finney. He attended Hollister, Deep Creek, and Filer Schools. He married Barbara Lee Olson on November 21, 1953. They made their home west of Buhl, ID on a farm they purchased in 1955, where they raised their family and had many adventures. They made their living through ranching, hunting, trapping, shoeing and running race horses. Racing chariot horses became a passion later on. Barbara passed away on December 3, 1994. Finney ended up working his dream job trapping and hunting for the Twin Falls Canal Company, where he retired at the age of 80. Larry married Carol Ann Viner in March of 2000. They had many happy years together camping, hunting, and racing chariots. They also shared a passion for raising and showing sheep and dogs. Finney is survived by his wife, Carol; children, Dustie (Gary) VanWinkle, Tammie Peterson (Dale Butterworth), Regie (Frosty) Finney, JoBil (Bill) Clark, Cindy Finney, and Amanda Whiterock; grandchildren, Marci (Lex) Howard (Jaycee and Finney), Lance (Sarah) Finney (Chloe, Madison, Annabelle, Macy, Maya), Alex Finney, Blake Finney, Carlee Finney, Rylee Clark, Talon Clark, and Kinley Jones. He was preceded in death by his parents; brother, Ronny; sisters, Maxine and Lucy; wife, Barbara; son, Rocky Finney, and grandsons, Dana Finney and Burt Peterson. There will be no services held at this time per Finney’s wishes. Cremation is under the direction of Serenity Funeral Chapel Life Celebration Center and Cremation Services of Idaho, Twin Falls. Condolences may be shared at www.serenityfuneralchapel.com.